This sweet little molecule necklace has something to say….go within. Inspired by raindrops that hold their circular shape on a leaf and the concentric circles formed when rain drops into water. You are infinite, and this is a reminder. 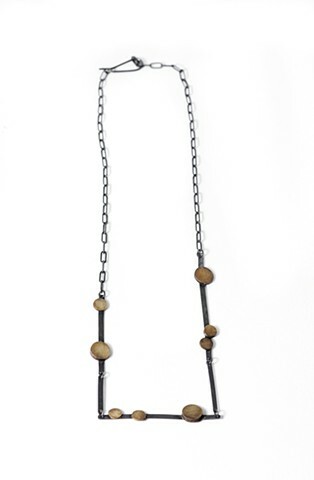 Oxidized silver bars with patinaed brass circles on an adjustable link-style silver chain.